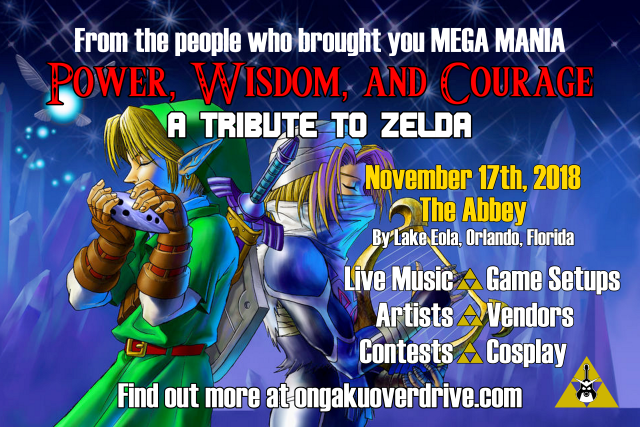 This evening, Ongaku Overdrive has officially unveiled local musician dj-Jo for Power, Wisdom, and Courage: A Zelda Tribute Concert. This is the fourth performer announced for the event, with Super Guitar Bros., Master Sword, and Bit Brigade being the first few revealed. 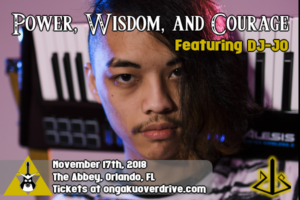 Residing in central Florida, dj-Jo has made his mark on the YouTube community with his hard hitting, melody driven arrangements of popular anime and video game franchises, including Legend of Zelda. Utilizing his unique live setup, dj-jo not only showcases his musicianship but also his distinct music taste. 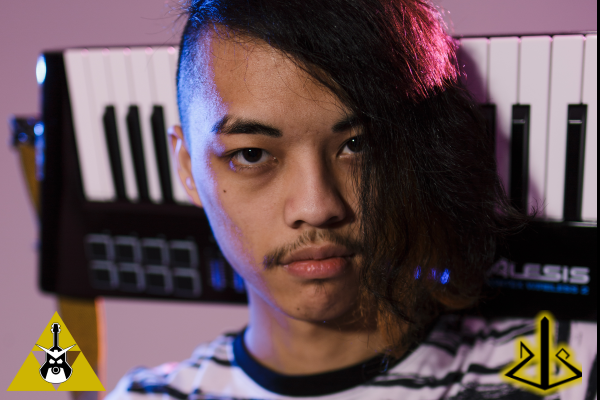 Blending aspects of heavy electronic music into a variety of Anime, VGM, and EDM soundtracks, this performer strives to bring something different to the table with his love and experience for music. 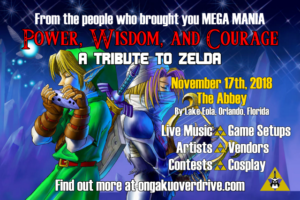 At Power, Wisdom, and Courage, dj-Jo will be performing a special concert entirely of his fierce Zelda remixes… and he’s bringing his keytar! If you want to check out his work on everything Zelda, be sure to check out his remix playlist here. If you’re curious about his other work, be sure to check out his official website, along with his YouTube channel. 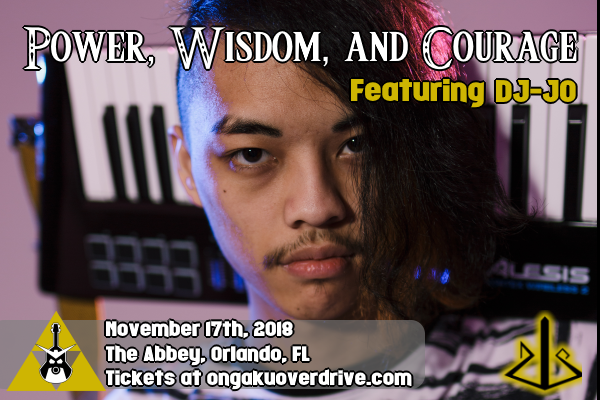 If you are in the Central Florida area, or want to head down to The Sunshine State to check out the concert for yourself, tickets are still on sale, and info about this event can be found here. If you can’t make it to the festivities, then make sure to stay tuned to Zelda Dungeon as we’ll be covering this shindig! To find out more about Ongaku Overdrive, or just you just want to see what they’re currently up to, make sure to check out their social media sites on Facebook, Twitter, Instagram, Twitch, and YouTube. What do you think about this announcement? Will you be checking out any of dj-Jo’s work before the tribute concert? Let us know in the comments below!